Draught beer is beer that is dispensed from a pressurized container, either a cask or more often a keg. Large amounts of alcohol can be transported, stored and served from a keg, so for taverns, bars and pubs, kegs are essential. 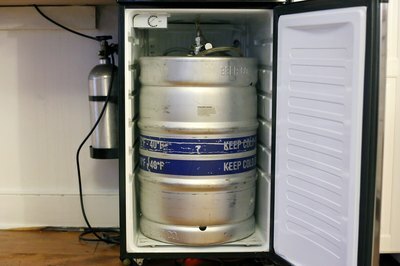 Sometimes events with many guests such as class reunions or weddings will also provide kegs, as they are available for rental through many bars, brewers, and distributors. There are only a few different sizes of kegs available for purchase or rental in the U.S. Generally these sizes are: ½ keg which holds 15.5 gallons, a ¼ keg, which holds 7.75 gallons, and a 1/6 keg, which holds 5 gallons. These sizes are equal to about 165, 82, and 54 bottles of beer, respectively. 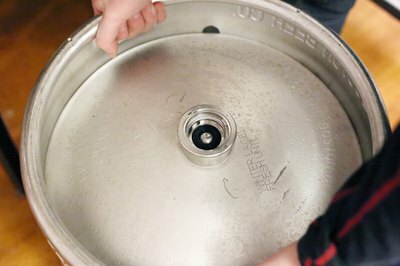 More modestly-sized kegs are also sometimes available, such as the mini-keg, or “bubba,” which holds only 1.32 gallons. In Europe the keg sizing is different because of the metric system. There, kegs are classified on a scale using 50 liters as equal to a keg; thus, the 1/2 keg is equal to 25 liters. However, different countries may have different regulations about keg size, such as in Germany where the sizes are 20 liters and 30 liters. In the U.K., a keg is equal to 11 imperial gallons, since they do not use the metric system. All kegs have a single hole in the top that acts as a two-way valve to allow the beer to be pumped either into or out of the container. 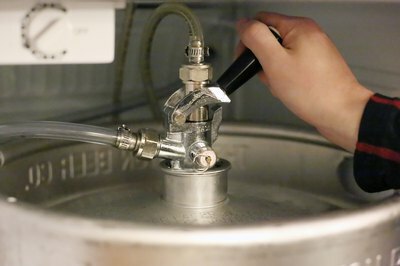 There are five different valve possibilities for U.S. kegs: D, S, U, A, and G. In order to tap a keg to get the beer out, you must know what type of valve it has and use the correct “coupling” tools. Each beer company generally sticks to one type of keg valve; for instance, St.Pauli Girl uses an S valve, Guiness uses a U valve, and Pabst uses a D valve. 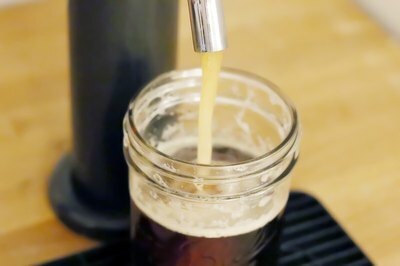 Most U.S. brewers use the D valve. The valves differ in whether the necks are slotted or threaded, and will also vary in length, depending on the height of the keg.